This city knows how to celebrate, and they do it with a bang! 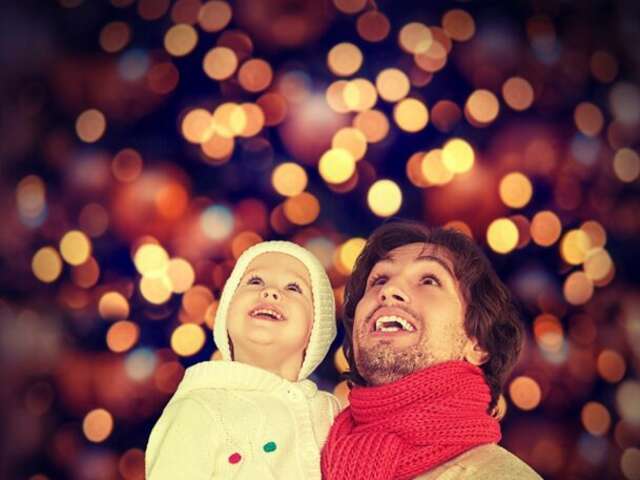 Bring the entire family to Grapevine, Texas, to celebrate an unforgettable Christmas! With 1400 events spread out over 40 days, the city of Grapevine is often referred to as the “Christmas Capital of Texas”. Adjacent to Grapevine Lake, the city is only 14 miles from Arlington and 19 miles from Dallas. It is inhabited by about 50,000 people and covers a total area of 35.9 square miles. Named a “World Festival and Event City” by the International Festival and Events Association in 2012, and one of "America's Best Places to Live” by CNNMoney in 2007, Grapevine's economy is highly dependent on the tourism industry, and a commuting workforce to Dallas / Fort Worth. The city boasts of more than 20 hotels, 2 marinas, 3 golf courses, and the Grapevine Vintage Railroad’s Steam Engine 2248, the oldest continuously operated steam engine in the South. You will definitely feel the Christmas spirit in Grapevine. The fun kicks off with the flipping of the switch of its 30' Christmas tree which symbolizes the beginning of the Christmas season. Its historic downtown area becomes illuminated by millions of lights! Its thousands of events include “Christmas Around the World”, Lone Star Christmas, Santa's Wild Workshop Snow Tubing, Elf on the Shelf Scavenger Hunt, Milk & Cookies with Mrs. Claus, Christmas Market by Moms in Action, Gingerbread Decorating, Food Sampling, Carol of Lights, Magic of Christmas Light Show, North Pole Express, Main Street LIVE "Christmas Spectatular", Santa’s Workshop, Snowland!, Christmas on Main, and so much more. Spending your Christmas holiday in Grapevine is one of the best gifts you can give your family. Consult your travel agent for more details.